BENZEMA v SUAREZ – BATTLE OF THE NO.9s! El Clasico rivals Karim Benzema and Luis Suarez are two of the top strikers on the planet! 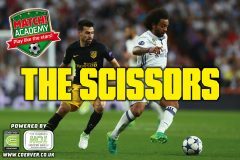 Here’s some tips and tricks, plus a sick drill to improve your finishing – just like the La Liga heroes! 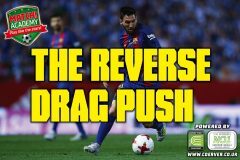 The Reverse Drag Push is an epic skill that Barça ace Lionel Messi uses to create space either side of his man-marker in tight situations. 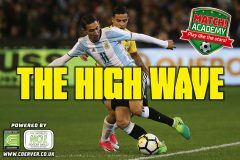 Argentina wing wizard Angel Di Maria loves using this epic stop-start 1 v 1 move to create space away from an opponent that’s to his side! This skill’s perfect for shielding the ball from an opponent that’s to the side or in front of you – Juventus’ Miralem Pjanic is the master! The Slap Cut is perfect for protecting possession against an opponent who’s to the side or in front of you. Make sure to use your furthest foot and upper body for maximum protection! 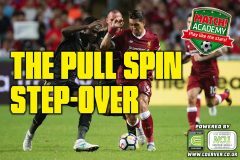 The Pull Spin Step-Over 1 v 1 move is perfect for shielding the ball from an opponent who’s closing you down from the side or in front. Real Madrid and Wales superstar Gareth Bale is one of the fastest players on the planet! Here’s some tips and tricks, plus an awesome drill to make the most of your pace – just like the lightning-fast forward! Dribbling is one of the best ways to beat your man, and Leicester and England wonderkid Demarai Gray is a top talent at busting out mazy runs with the ball! 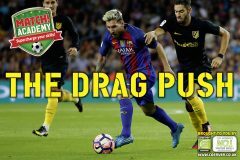 Footy legend Lionel Messi loves busting out the Drag Push to create space for himself to the left or right of an opponent.